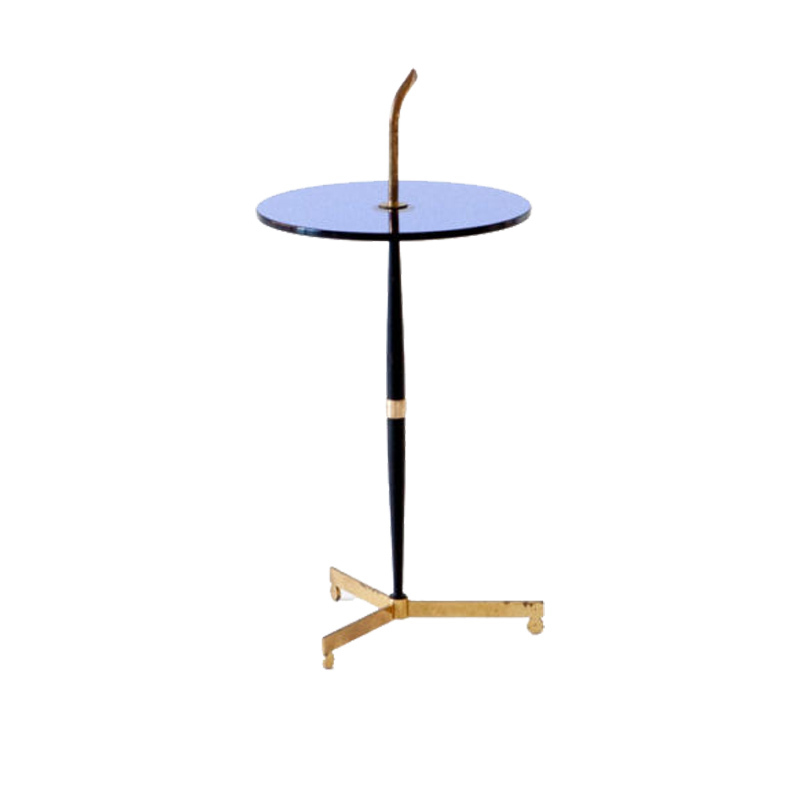 Rare modern Italian round glass plane with iron and brass frame side table. 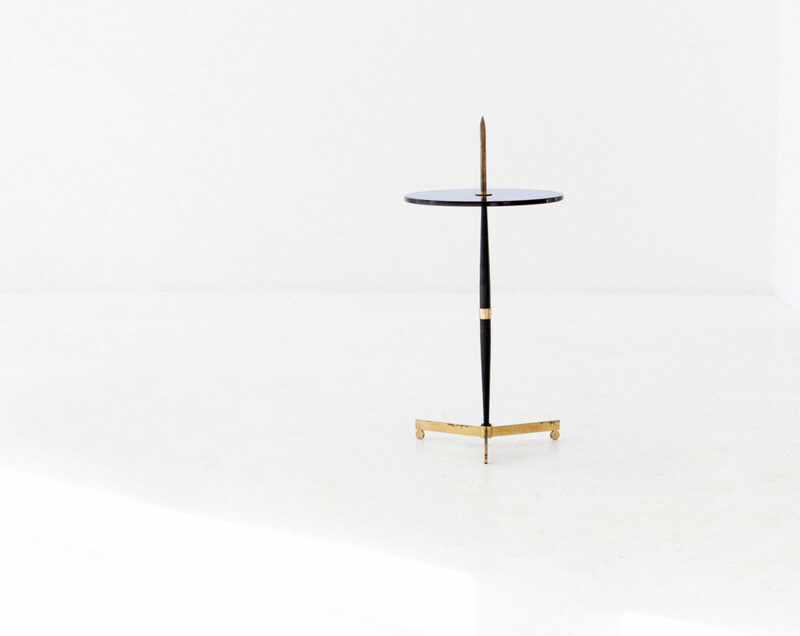 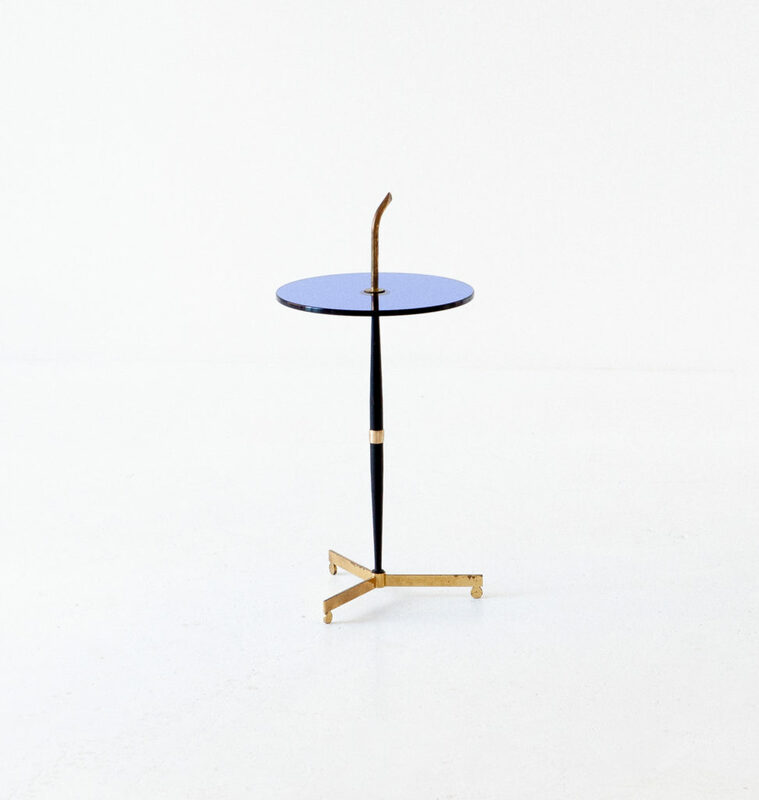 This little and elegant service table are manufactured in Italy in the 1950s. 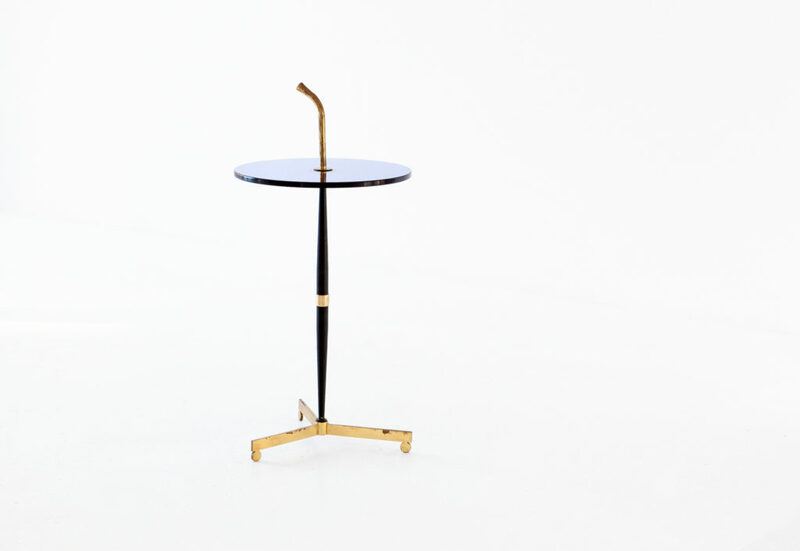 It has a delightful brass handle which makes it easier to move. 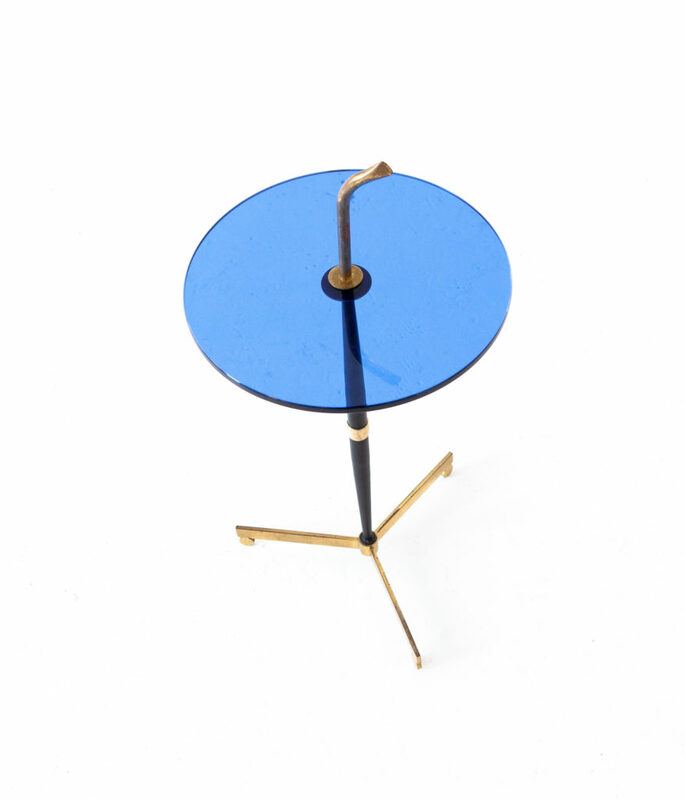 Round blue top glass, iron leg and tripod solid brass feet. 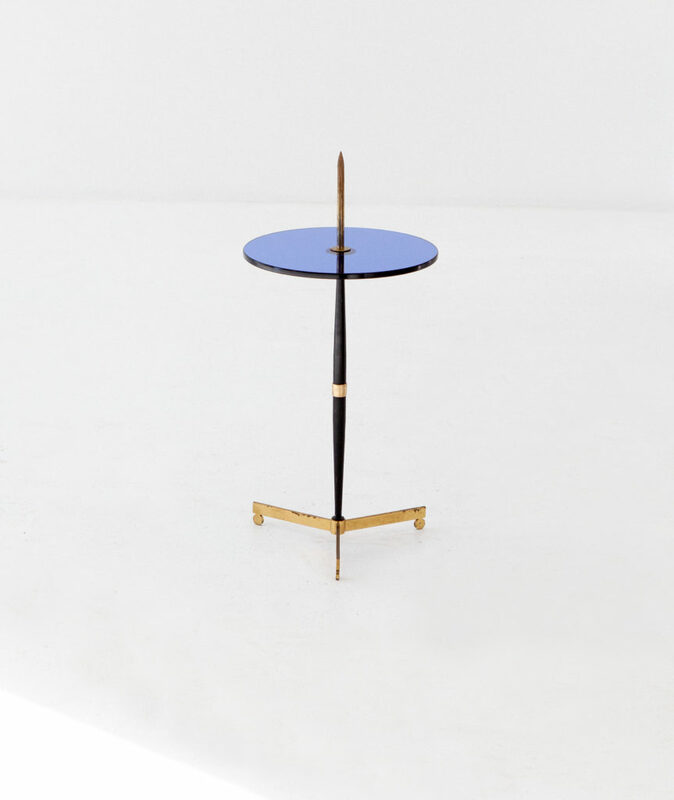 The production is attributed to Fontana Arte Also be used as a coffee or cocktail table Beautifully elegant lines and proportions in a Classic Italian design from 1950s.